Congratulations to tour winner Luca C. and to host winner Locks, Hooks and Books. 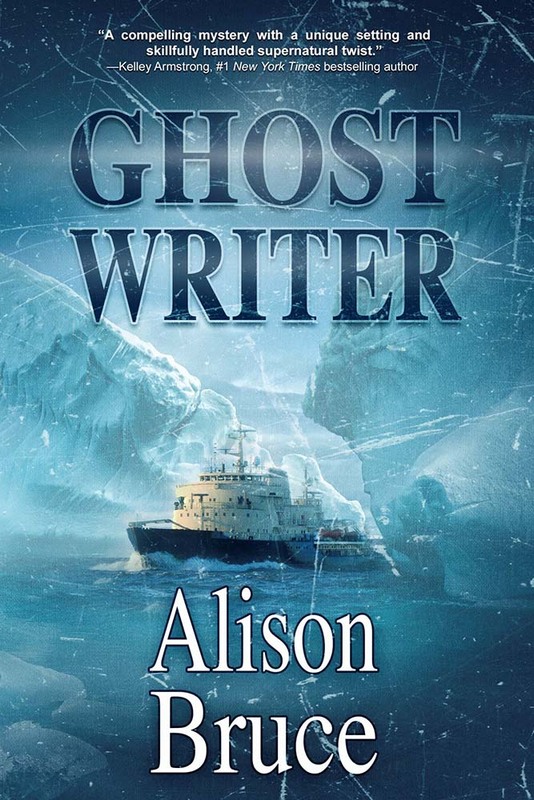 Goddess Fish Promotions is organizing a Virtual Book Tour for Ghost Writer by Alison Bruce, a Paranormal Suspense available now from Imajin Books. The tour will run January 22 - January 26, and Alison Bruce is available for guest post and interviews. A PDF copy of the book is available for review in conjunction with a guest post or interview. Alison Bruce will be awarding an ebook copy of Deadly Season to a randomly drawn winner via rafflecopter during the tour, and a $10 Amazon/BN GC to a randomly drawn host. Jen Kirby has seen ghosts since she was a teen, but she can’t talk to them or help them cross over. And, after a violent death in the family, she doesn’t want to see them anymore. January 23: Archaeolibrarian - I Dig Good Books! I can do an author interview on 1/26. Locks, Hooks and Books can host with review on Jan 23. If there are any open spots available I would love to host on Fabulous and Brunette - any date!! If selected, I would prefer a guest post spot - thank you! !